Egan always found it strange to set foot for the first time in a place he knew from the plans. It was like folding out of two dimensions into three. You could almost hear the creases popping as you broke through the barrier. Sometimes it was disenchanting. You had convinced yourself, looking at the neatly inked blocks on the paper, at the street names, the community facilities, the cookie-cutter trees, that the place was rather pleasant. You imagined gardens, shady avenues and parks. And then you got there and found rows of impossibly small houses, not a leaf in sight, dust everywhere, shadowless walls, and the immense blue well of the sky, which reduced the world to sediment. The end of Apartheid and the process of reconciliation offered great hope to the people of South Africa. It was, and still is, held up as a major achievement, a model to other nations, even if the dream has become tarnished in the realization. The plans always look better, more achievable, on paper. The Exploded View by Ivan Vladislavić, newly released by Archipelago, was originally published in South Africa in 2004, one decade after the first free elections. This collection of four loosely interlinked stories examines the uneasy space in which individuals living in and around Johannesburg find themselves as they try to adjust to—or exploit—a new social order where the shifting dynamics are not clearly defined. Too many loose edges exist, lines blur. Vladislavić’s protagonists are ordinary men: a statistician, a sanitation engineer, a conceptual artist, and a contractor. Each one is a little neurotic, bearing hints of a vague identity crisis—the doubts of early mid-life in a world where the rules are changing. Their stories overlap with respect to place, a gated suburban development and a restaurant figure more than once, but each of the main characters is marked by particular degree of isolation. She seated him in the lounge and went to make coffee. The rooms in Villa Toscana were small, square and white. The furniture, sparse and spindly though it was, seemed too large. He had the unsettling impression that he had strayed onto a page in a book, one of those picture books that were more interesting to adults than the children they had apparently been written for. He had lost all sense of proportion. He stood up, half expecting that he would have to stoop, and raised his hand above his head, measuring the distance between his outstretched fingertips and the ceiling. At least a metre. Probably, there were municipal regulations. Why did it seem so low? Mazibuko was right, Egan thought, it was going to be an experience. And he had an odd sense that it would be a significant experience too, that he would remember this evening, that he would look back on it. He could already see himself looking back on it, from a tremendous distance, and understanding, at last, what it was all about. He wishes he was there now, at that reassuring remove, on a height, filled with the wisdom of hindsight. However, as the night progresses, he is increasingly at a loss to decipher how he fits into the political posturing that gradually leaves him sidelined as the conversation shifts into Sotho and he drinks too much for his own good. Later, back at his hotel, his embarrassment and irritation builds to a level of frustrated paranoia. “Curiouser,” is the sole story with a black protagonist, in this instance an educated, middle-class artist, who has made his name with installation art pieces. Simeon also faces questions of identity, albeit from another angle. Questions about what is, or is not, appropriate for him to present in his art take on a different tone because of his colour. His own sense of himself is, to a significant extent, a private performance. Yet, when forced to consider the possibly illegal source of a large quantity of masks and curios he has purchased, it is clear that he, too, has an uncertain sense of how, or where, he fits in. Even the pines on the shore he exploded into their parts, so that each needle quivered beside a sheath in a stalk, each cone burst into separate scales, and each trunk shucked its bark like a coat. The world, disassembled as precisely as a diagram in a biology textbook, sucked in bracing breath and expanded. The universe was expanding, we were causing it to expand, by analyzing it. This affinity for seeing how things fit together, for appreciating the “exploded view” had never left him though he wondered about its value in the modern world. Indeed, a new kind of awareness, alertness is required, when the world is in flux. Each of the protagonists in this collection find themselves out of step to a greater or lesser extent. These stories, which could well be considered a novel in four parts, showcase Vladislavić’s great strength—an ability to burrow into the very human idiosyncrasies of the ordinary man. His attention to thoughts, mannerisms, and subtle details allow him to create, even in relatively confined spaces, characters that are honest, and slightly flawed, in a way that one can easily recognize and relate to. And his power of description applied to settings—interior, exterior, or imagined—carries an almost photographic quality. Well demonstrated in longer works like The Folly or Double Negative, this uncanny ability is likewise evident in his short fiction. 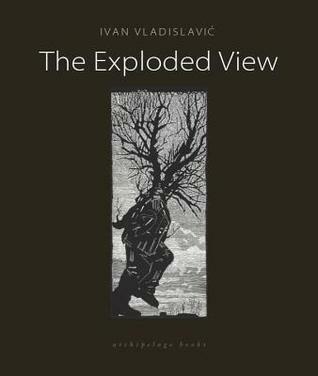 The Exploded View is a welcome addition to the growing body of Vladislavić’s work to be made available outside South Africa, and, if you have yet to encounter his writings, is as good a place to start as any. I’ve read “Double Negative” and the beautifully presented, as always, Seagull Books collection, “The Liss Library”. An under appreciated writer indeed. I have more of his work piled up, he never seems to disappoint. I would absolutely recommend “The Folly”—a whimsical gem of a book! Great review. I read this book when it first came out so enjoyed having my memory jogged. I remember savouring every word. I wondered if you might have read it, Penny. There is a steady stream of his work finally making it out here—this one earlier this week—and many readers who have become addicted! Great review, Joe. My one experience of this author was “The Folly” which was very powerful, so I’ll look out for this. Thanks, Karen. This is less whimsical, but powerful all the same. I have that one waiting, another story collection and a nonfiction portrait of Johannesburg. This is the third book of his I’ve read. He creates the most wonderful tragic-comic, ordinary characters and is an amazing story teller.